Vocabulary Roots, Jr. is a year-long vocabulary program for 3rd and 4th grades! Each week focuses on a common morpheme (root word, prefix, or suffix). By teaching students Greek & Latin roots, you will give them the tools they need to decode unfamiliar words they encounter in their reading. 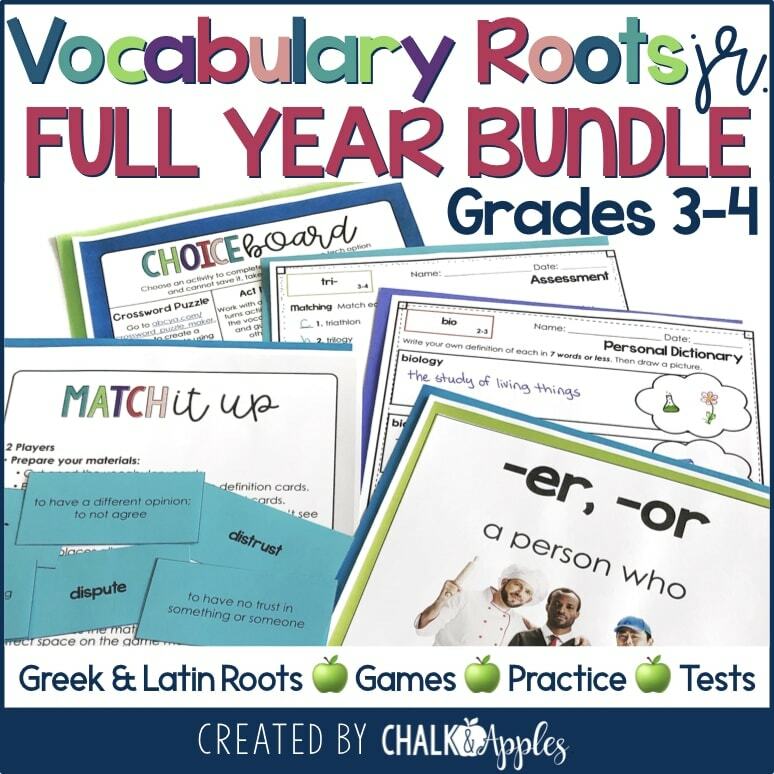 This bundle contains everything you need to teach vocabulary for the entire school year. 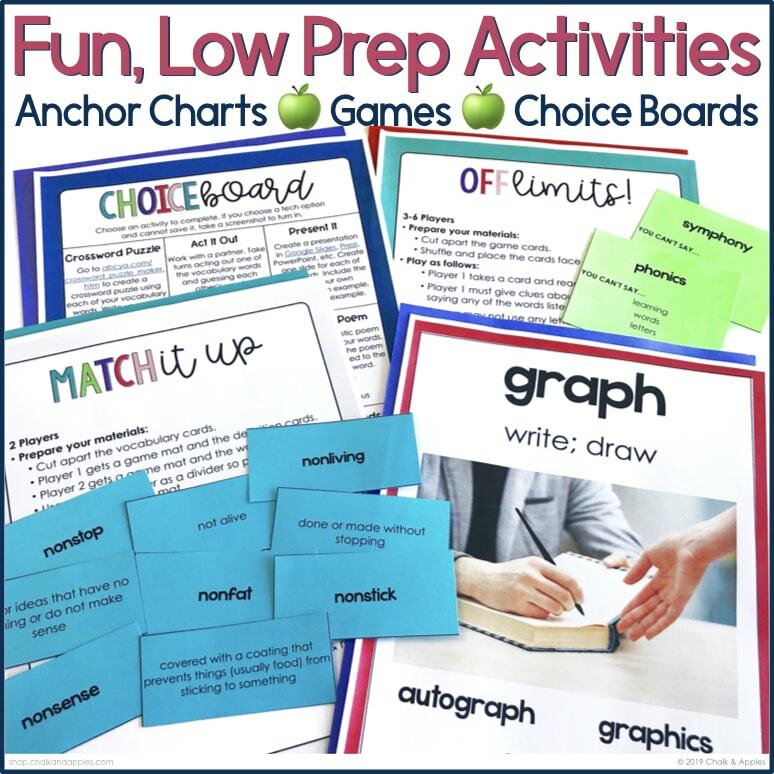 Each weekly lesson contains a word list with definitions, an anchor chart, word wall cards, several practice activities, a fun game, and an assessment. As students learn these common Greek & Latin roots, prefixes, and suffixes, they will begin to notice them in words everywhere. 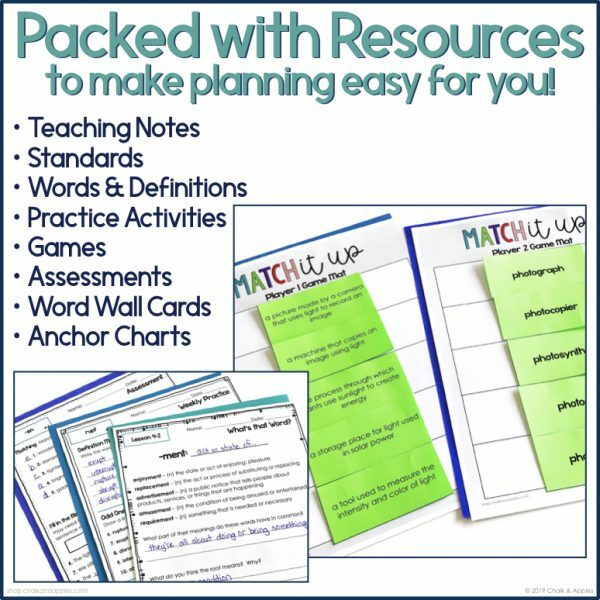 This knowledge helps students infer the definitions of unknown words based on the morphemes they contain. Each unit has been tested in my own classroom along with many others. Through these lessons, students are able to use their understanding of Greek & Latin roots to decode the meaning of new and unfamiliar words. This is a vital skill for upper elementary students because there is simply no way to teach every word a student may encounter in his or her reading. These units contain everything you need to teach a comprehensive vocabulary program in your classroom. The activities included were chosen carefully, based on research about best practices in vocabulary instruction. 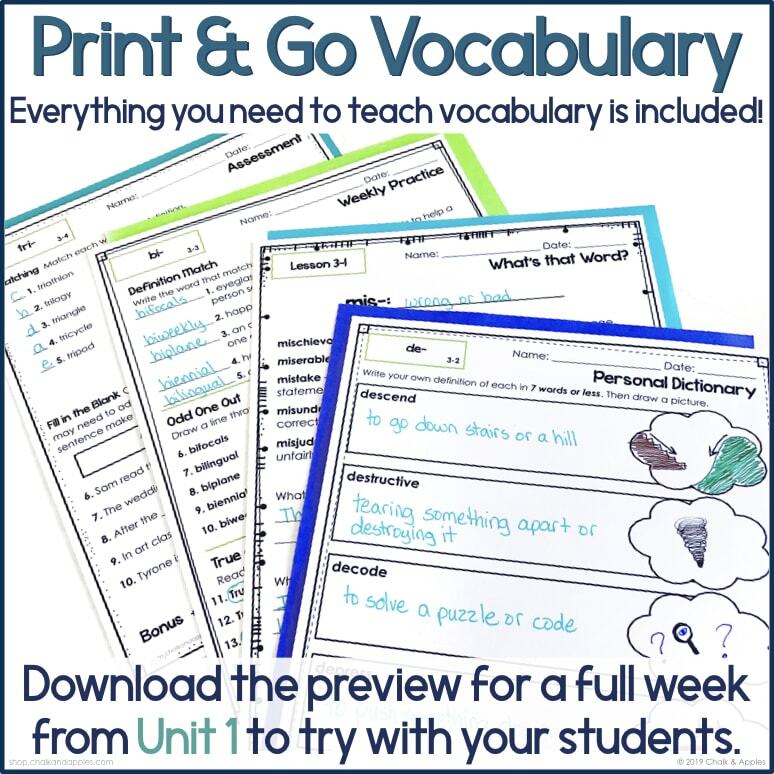 They contain opportunities for students to deduce the meaning of the weekly root, write their own definition of each word, create visual representations, practice the words in a variety of ways, and play games with the words. I’ve also included a choice board perfect for early finishers, in a center, or as homework.